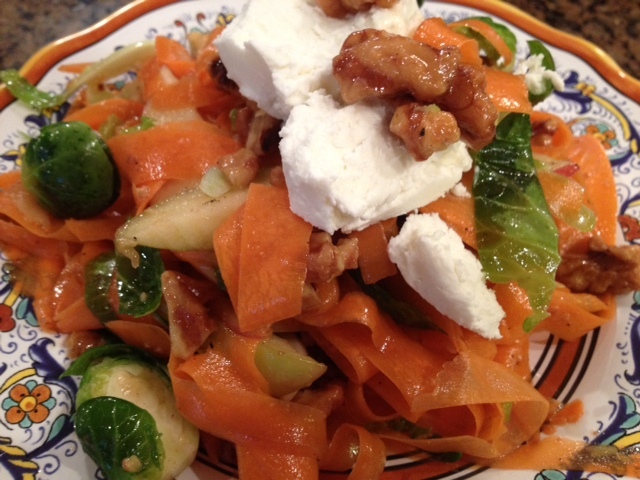 Gala Apple, Brussels Sprout & Carrot Salad With Candied Walnuts & Goat Cheese In A Honey Vinaigrette. I’m seriously obsessed with this salad. All of the flavors harmoniously combine to create a delightfully crunchy, sweet and savory salad. 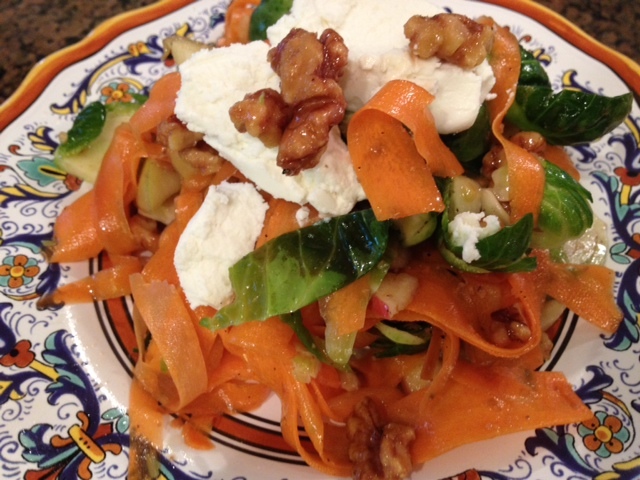 If your dietary preferences restrict you from dairy, the salad is still just as yummy without the goat cheese. 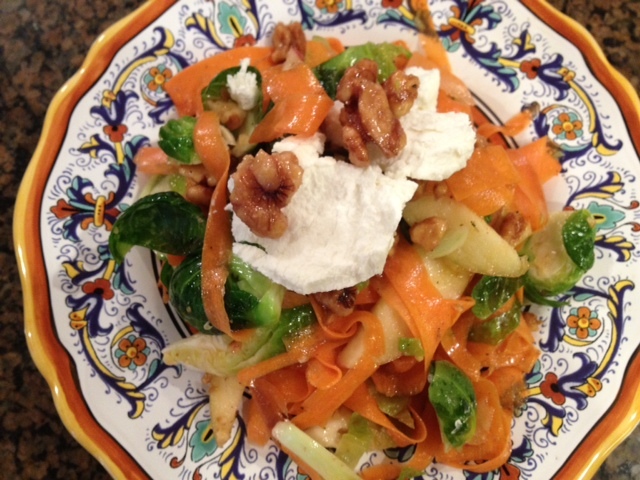 You must give this salad a try – it will quickly become one of your new favorites, too! 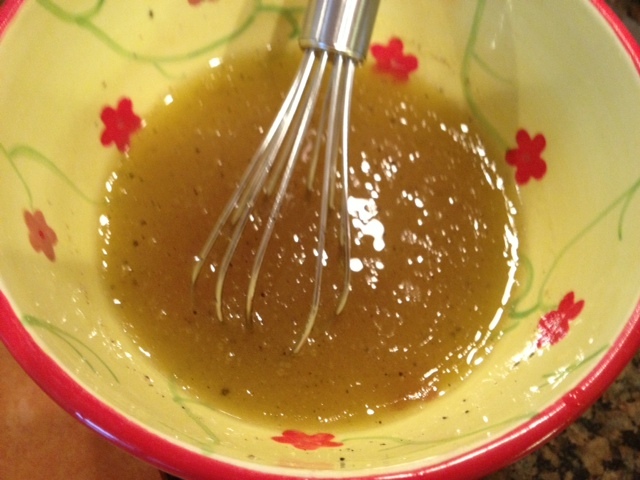 In a small mixing bowl, add the vinegar, honey, olive oil and garlic salt/black pepper. Whisk to combine. 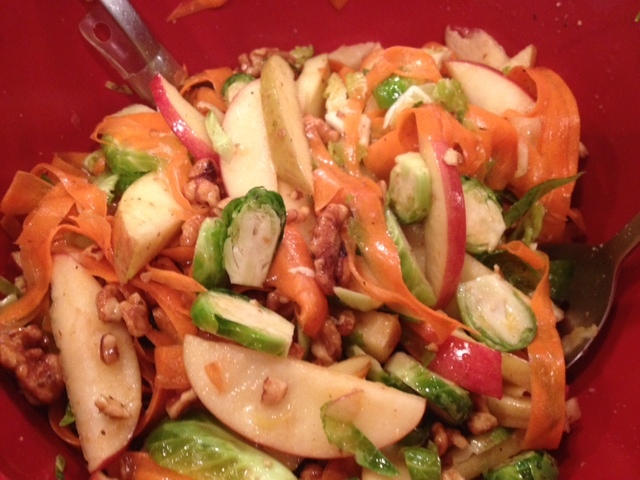 In a large mixing bowl, combine the apples, Brussels sprouts, carrots and candied walnuts and toss in the dressing. Plate the salad and top with a 1-2 small spoonfuls of goat cheese. ← Broccolini, White Bean & Artichoke Patties. 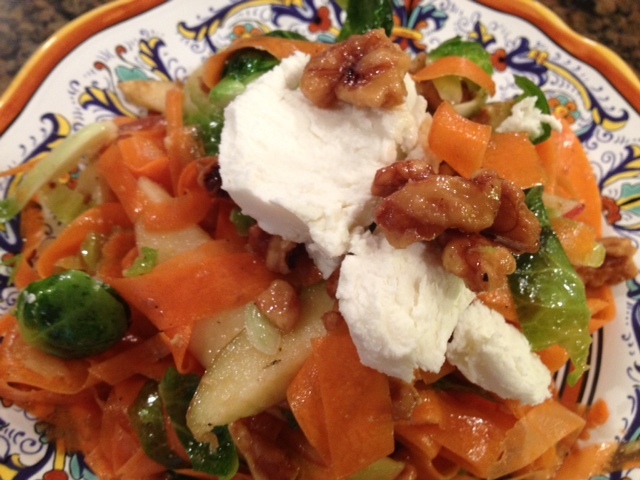 A new simple salad… GOOD!